Virginia Rail preening in the sunshine. Great views through scopes, not so great at 400mm even w/ 1.4 extension. 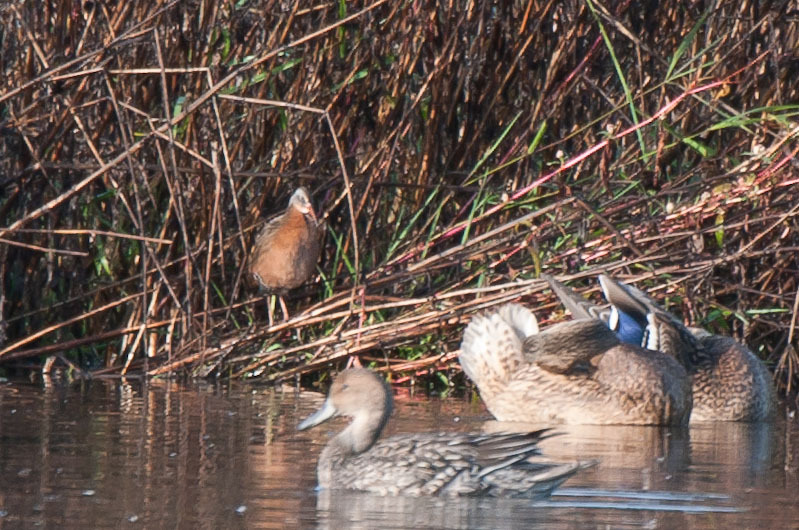 Northern Pintail in foreground, Mallards preening.